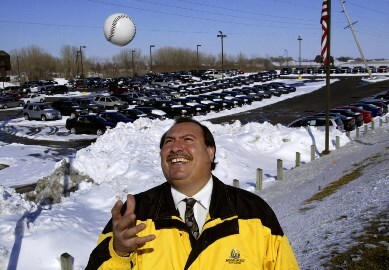 Former Twins pitcher Juan Berenguer has joined a growing contingent suing local entities — many of which are law-enforcement agencies — for what they say is a misuse of the state’s drivers license database. In a suit filed this week in U.S. District Court, it is alleged that “personnel from various entities in Minnesota illegally obtained Berenguer’s private, personal and confidential driver’s license information without a legitimate or permissible law-enforcement purpose or any other lawful purpose.” The suit says his private information was viewed more than 125 times between 2005 and 2011, in violation of the federal Driver’s Privacy Protection Act. More than 35 entities, including the City of Minneapolis, are listed as defendants on the suit. Berenguer (pictured in a 2006 Star Tribune file photo) , who played on the 1987 World Series team with the Twins and remained in the Twin Cities after his playing career ended, is represented by Jonathan Strauss from Sapientia Law Group PLLC, which is representing more than 30 other people who have filed similar claims. Many plaintiffs in similar cases “arewomen and include former police officers, TV news readers, and ex-partners of public employees,” as noted in this February Star Tribune story. The lawsuit seeks multiple forms of financial damages, including “at least $2,500″ for each of the more than 125 alleged violations of theDriver’s Privacy Protection Act. Strauss said he anticipated the next move will come from the defense, which will attempt to have the case dismissed.